"OBE" redirects here. For other uses, see OBE (disambiguation). The Most Excellent Order of the British Empire is one of the British orders of chivalry. It is the newest order, created on 4 June 1917, by King George V.
Only the two highest ranks are knighthoods, and allow the holder to call themselves 'Sir' (male) or 'Dame' (female). If the person is not a citizen of a country where the Queen is Head of State, the award is called honorary, and the holder cannot use the title before their name. For example Terry Wogan became a British citizen and was therefore called Sir Terry Wogan, but Bob Geldof is still Irish, and is not "Sir Bob". 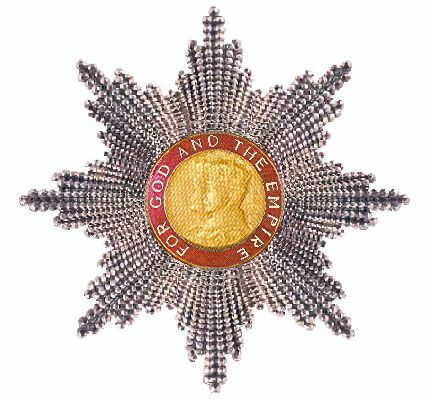 The British Empire Medal (BEM) is not given in the United Kingdom anymore, but is still used by the Cook Islands and by some other Commonwealth nations. Although it is the newest British order of chivalry, it has more members than any other. King George V wanted to be able to honour the thousands of people who helped to win the First World War, but were not soldiers. This Order of Knighthood has a more democratic character than the exclusive orders of the Bath or Saint Michael and Saint George, and in its early days was not held in high esteem. This changed over the years. Prince Philip, Duke of Edinburgh (1953–present), Queen Elizabeth II's husband. 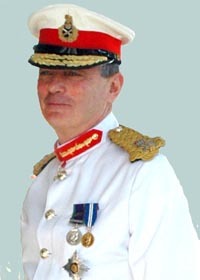 The order's rules, called statutes, say that the Order can only have 100 Knights and Dames Grand Cross, 845 Knights and Dames Commander, and 8960 Commanders, but there is no limit to the number of members of the Officers and Members but no more than 858 Officers and 1464 Members may be appointed per year. Appointments are made on the advice of the governments of the United Kingdom and some Commonwealth realms. Some jobs are usually rewarded with the Order. Usually female judges of the High Court of England and Wales are created Dames Commander after appointment. Male judges are not, because they are usually made Knights Bachelor instead. the Usher (the Gentleman Usher of the Purple Rod). Many years ago the ushers helped to organise royal events, now only the usher of the Order of the Garter has any official duties. He is the Gentleman Usher of the Black Rod, the House of Lords's Messenger. Anyone who behaves in a way that might bring the order into disrepute, may have his or her award taken away. 1921: Cecil Malone was stripped of his OBE (awarded 1919) following his conviction under the Defence of the Realm (Acquisition of Land) Act 1920. 1940: Vidkun Quisling was stripped of his CBE (awarded 1929) following his work with Nazi Germany in the occupation of Norway. 1949: Man Wai Wong was stripped of his OBE (awarded 1947) following his conviction for outlawry in Malaya. 1965: Kim Philby was stripped of his OBE (awarded 1946) following his exposure as a spy. 1975: William Spens was stripped of his MBE (awarded 1954) following his conviction for theft. 1980: Albert Henry was stripped of his KBE (awarded 1974) following his conviction for election fraud. 1988: Lester Piggott was stripped of his OBE (awarded 1975) following his conviction for tax fraud. 2006: Michael Eke was stripped of his MBE (awarded 2003) following his conviction for theft and deception. 2006: Naseem Hamed was stripped of his MBE (awarded 1999) following his conviction for dangerous driving. "Lots of people who complained about us receiving the MBE received theirs for heroism in the war - for killing people. We received ours for entertaining other people. I'd say we deserve ours more." Order of the British Empire Facts for Kids. Kiddle Encyclopedia.